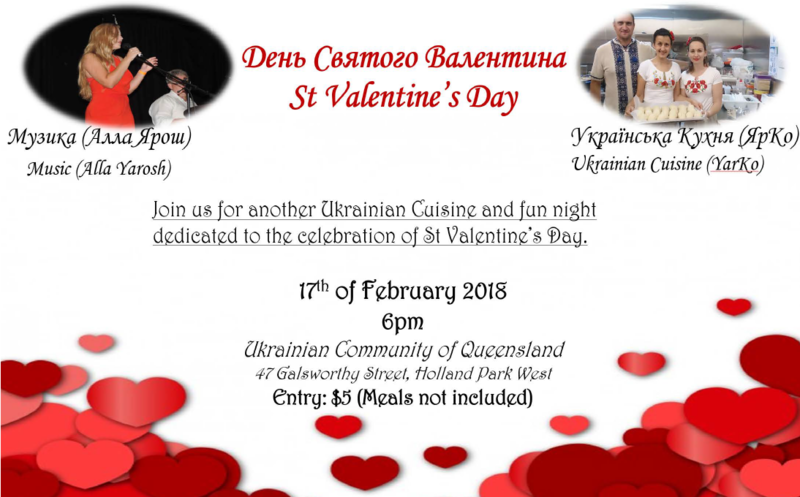 Come join us for another fun night with Ukrainian Cuisine dedicated to the celebration of St. Valentine’s Day. Ukrainian Food from “YarKo” will be on sale and our bar will be open! Українська кухня від “ЯрKо” буде продано, і наш бар буде відкритий! Entry is $5 (at the door). Meals and drinks not included.